Μπορείτε να διαβάσετε το guest post μου με θέμα “Αρωματισμένο νερό” στο blog του περιοδικού Glow στη στήλη Taste, που επιμελείται ο Δημήτρης Κοπαράνης. 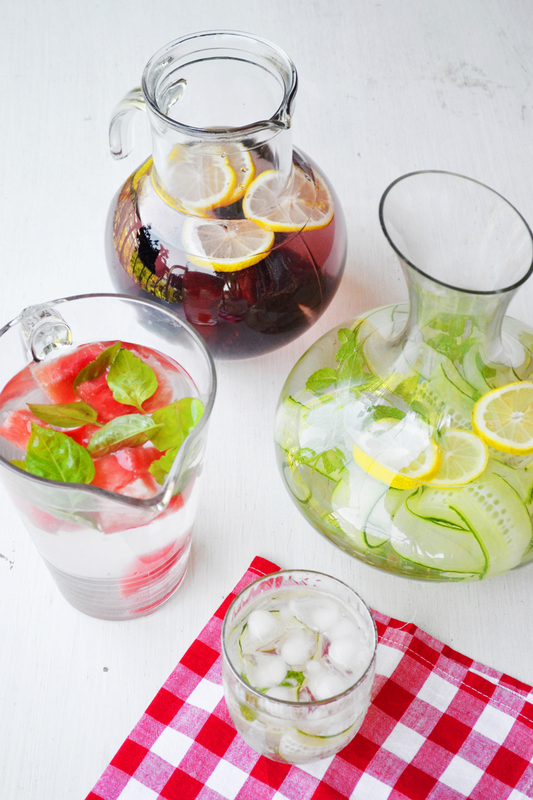 Prepare your favorite ingredients and put them in a pitcher. Add plain or sparkling water and cover. Leave for at least one hour. The longer you leave your waters, the more intense the flavor. Prepare your water and leave it in the fridge overnight for a cool and refreshing drink first thing in the morning.